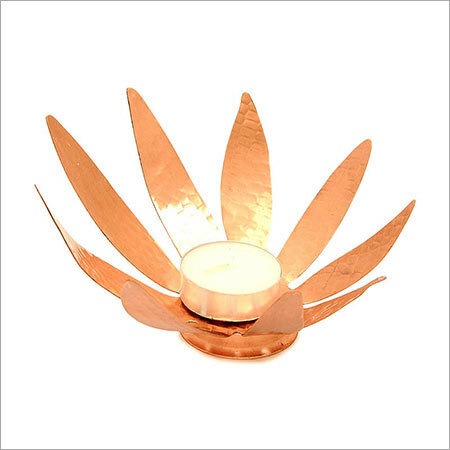 We have been offering intricately designed range of flower shape copper candle holder in different sizes and models. The carved patterns of the array are available in traditional work designed by expert artisans. We have been offering the range with matchless carving as well as inlay-work. The matchless beauty of the intricate and detailed carving of the range is the prime reason for its immense popularity. Our range comes at very lowest prices within the stipulated time frame.